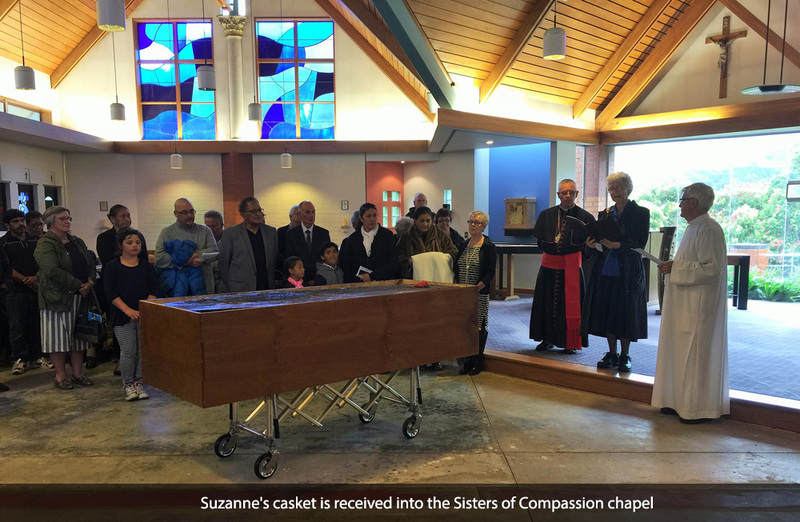 Wednesday the 25 January was a very special day for the Sisters of Compassion, when the remains of Venerable Suzanne Aubert were transferred, from her grave in the grounds of the Home of Compassion, Island Bay to a side chapel, next to the main chapel of the Sisters. 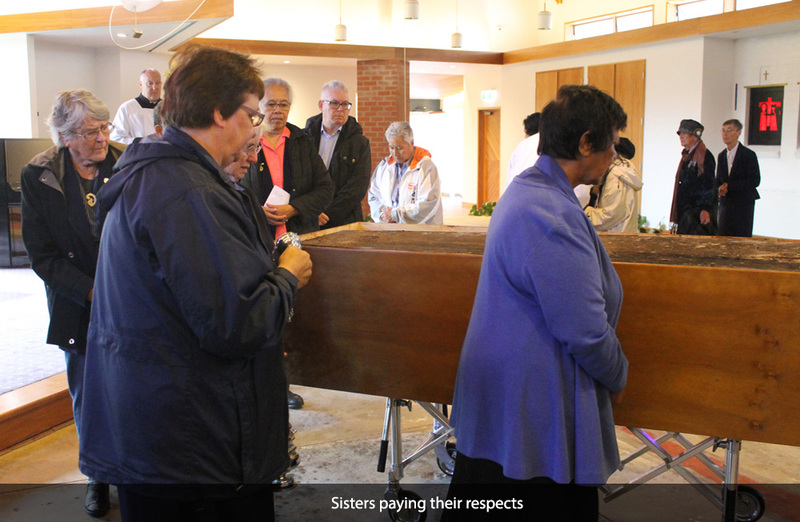 It was a private sacred ceremony during which the family and friends of Suzanne Aubert, the Sisters who had gone before us and the people who have been closely associated with the Homes of Compassion since 1883 were remembered. 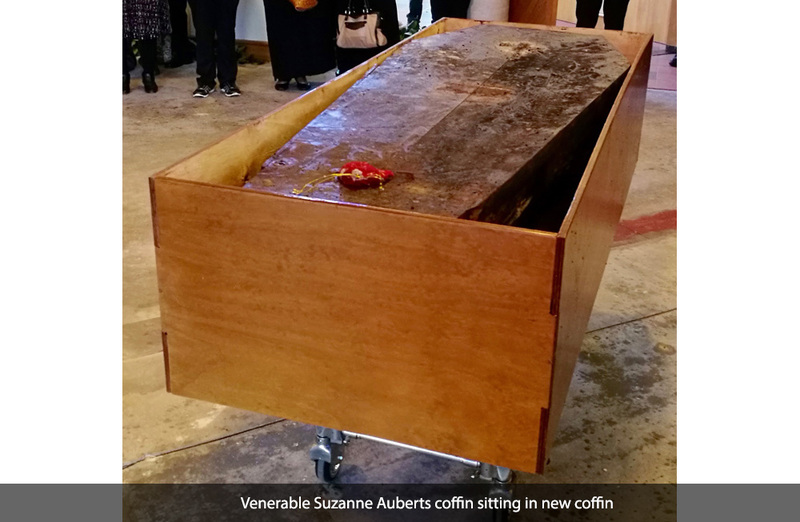 Suzanne Aubert was originally buried at Karori on the 5 October 1926, and her funeral was reported to have been the largest ever accorded a woman in New Zealand. In 1940 the Sisters of Compassion thought it fitting and wanted to have, their foundress buried in the grounds of the Mother House of the congregation she founded. Because of delays it was not until the 27 February 1950 that the re-internment took place in the presence of Archbishop McKeefry, the Sisters of Compassion and the workman. It is recorded that the little ceremony was both solemn and touching. 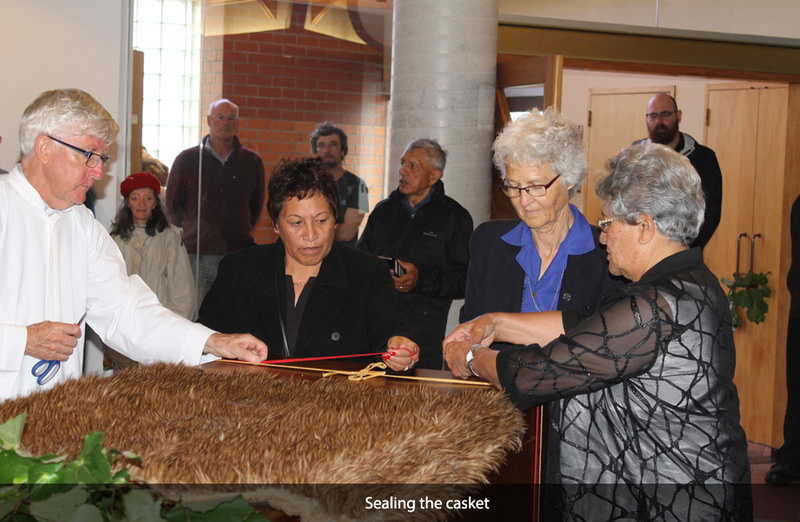 The following day Rure Manihere Keremenita came down from Jerusalem to pay his respects to ‘Meri’. At the time he was well over 80 years old, and had known Mother Aubert all his life. He made his tangi at the crypt and spoke most feelingly about her. Rure had been one of the pallbearer at her funeral in 1926. 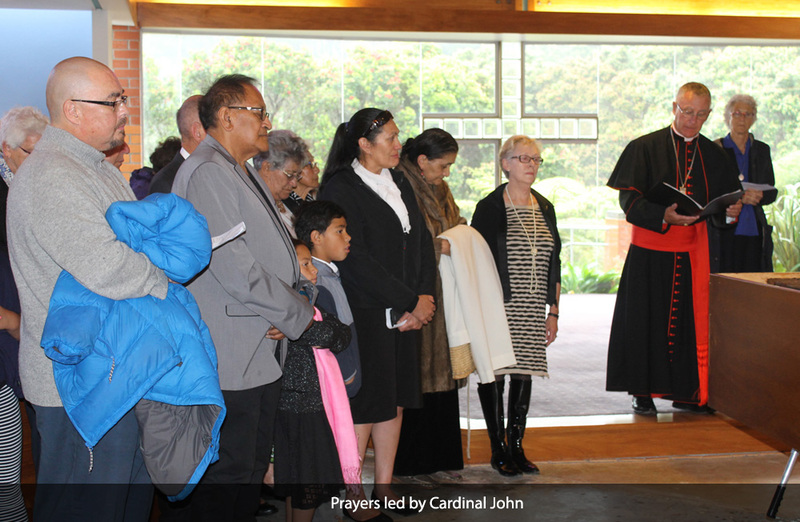 Mother Mary Joseph Aubert, foundress of the Daughters of Our Lady of Compassion, born St Symphorian de Lay, buried at Karori, 5 October, 1926. Re-interred at the Mother House 27 February, 1950 and transferred 6 July, 1984. Hopefully this fourth re-internment of Suzanne Aubert into the new crypt will be the final resting place for our tipuna. 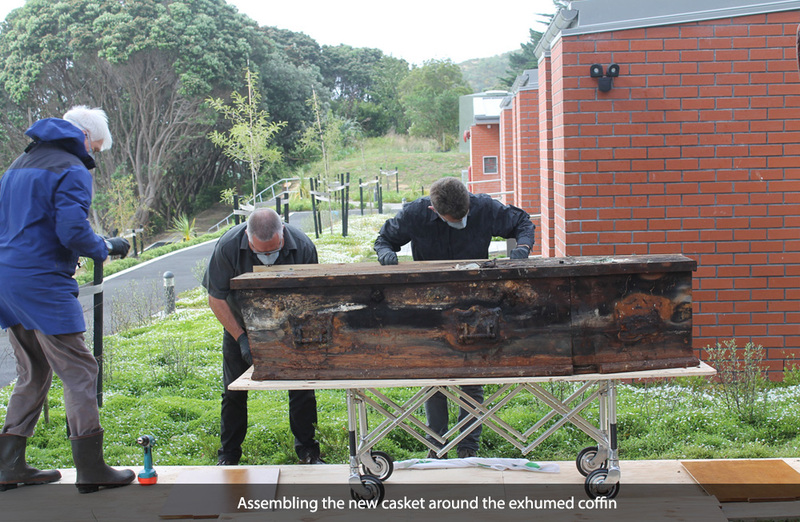 The casket was not opened but placed inside another casket to ensure its integrity. 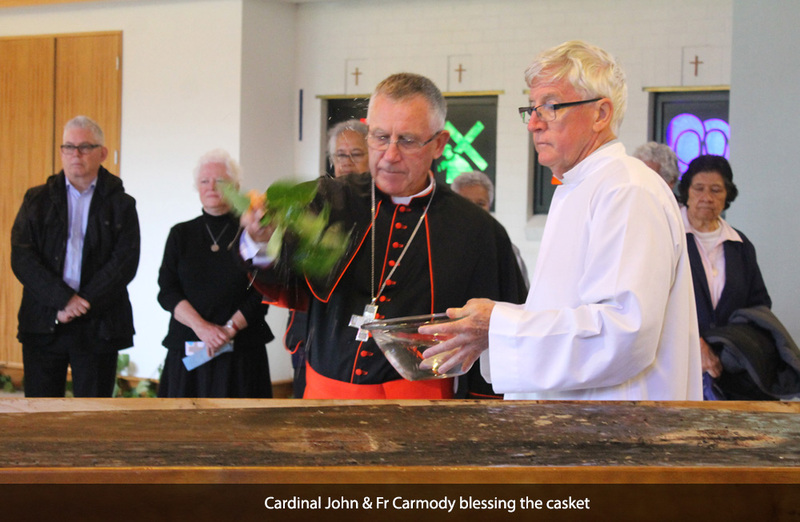 The casket was then symbolically sealed. 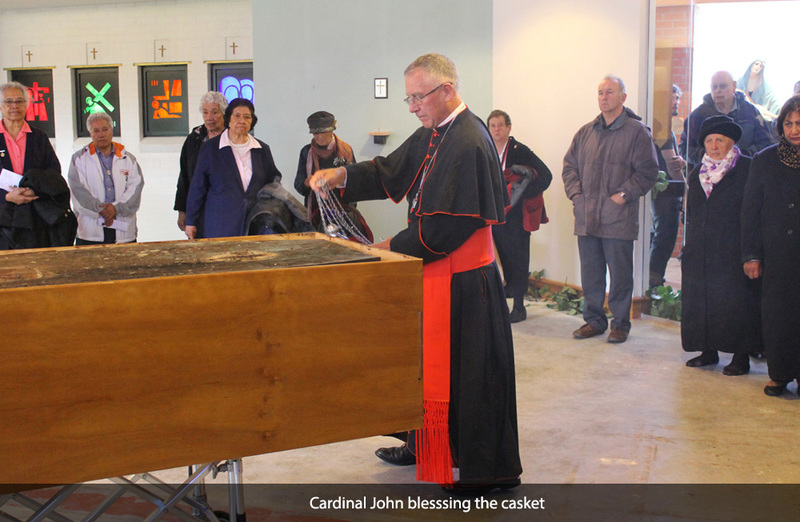 Cardinal John Dew said a further prayer before the caskets were re-interred in the crypt in a concrete vault below ground level. A stone sarcophagus will then be installed over the top of the vault as soon as possible.